Letting someone into your home is very personal. There are images of your family and friends, awards of achievement and even perhaps some heirlooms passed down from beloved family members. Your home represents you and what you find important. It’s not unusual for a client to default to an interior designer’s taste by asking them to make selections, after all they are the professional, right? The purpose of an interior designer is to help create feeling and function to the client’s needs and taste. 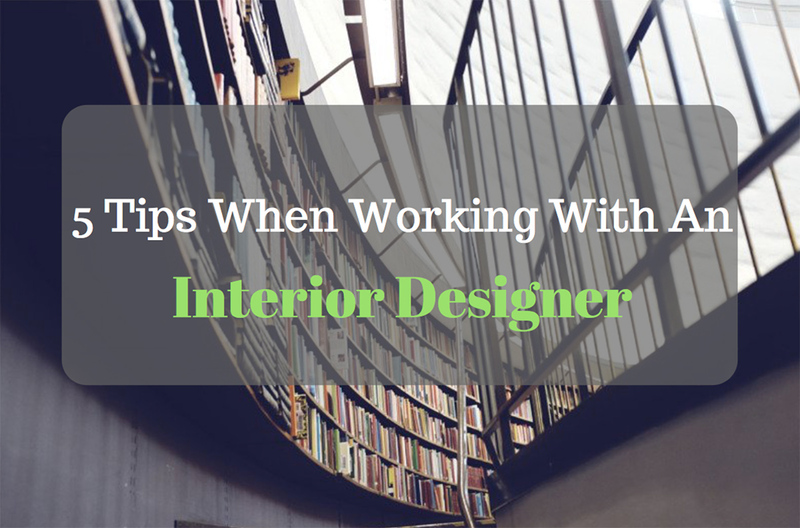 Some interior designers have a “style” while others pride themselves on their ability to bring a client’s vision to life in the most functional way. Whichever designer you choose, here are some tips to help make the process go as smoothly as possible. Think about what you would like people to feel when they walk into the space you want to design. What do YOU want to feel in that space? Is it comfort, energy or perhaps do you want the space to inspire conversation? Think of the things that help achieve that feeling for you (colors, textures, furniture style). Color is a big factor. Just because a color is your favorite, doesn’t necessarily mean it’s a good idea to be surrounded by it…unless that is really what makes you happy. Typically when I begin working with a client I ask them to create an ideabook on a website like Houzz.com or another site of their choice. Some people may even have fun creating a storyboard or collage of things they like on a poster board. When making an ideabook go with your gut reaction and document what you like about the image (floors, tile, furniture, brightness…), but don’t think too much. Once people start to overthink the process they begin to look for what they think others may want to see in their home, or what is on trend. I had a client mention that she saw in an article that many of the finishes she had chosen for her home were going “out of style” for the new year, which concerned her. Trends come and go, but if your home truly represents who you are and how you function, you don’t have to worry about the trend. Trends are not for everyone and following trends too closely can lead to a quickly outdated space. Interior design is a very popular topic right now and you can find a million beautiful spaces which can make your head spin and cause it to be hard to make decisions. Once you have made your first ideabook, stop looking. If you feel your are getting lost in the process or uninspired, talk to your designer before you begin shopping again to avoid design overload. Budget is a touchy subject, but it is key to every design process. I have found that clients may not want to be upfront with their budget for a variety of reasons. They may be hesitant to share their budget because they think the designer will max it out, they don’t want the budget to define the process or they may be intimidated by working with a modest budget. Having a realistic budget will help prevent the designer from presenting you with options that won’t work. Beautiful spaces can be created from any budget, but a modest budget can mean the process will take a little more time simply to find the right product at a reasonable price. The purpose of decor magazines and shows are to draw you in, but they do not always depict a realistic view of the process. Typically, the people in the design shows have already selected a house before the show tapes and have secured funding which creates an unrealistic view how the home is selected, designed and the timeline in which jobs can be completed. The homes are staged with furniture that photographs beautifully, but will not hold up to everyday use. It’s not to say that you can’t get idea’s from these media sources, but realize that they are creating a fantasy to draw an audience and not necessarily something that is functional and will work for every homeowner. I would also like to emphasize, again, the unrealistic timeline. In most cases a full remodel will take much more than a month or two, but the end result can still be amazing and tailored to your needs. One thing those HGTV shows do depict accurately are setbacks. In every project I suggest subcontractors or vendors that I have previously worked with that I trust will do a great job, which helps to reduce issues and stress, but they can still occur. Sometimes a product may get damaged in shipping or an issue may be discovered during the course of a remodel, but together we will come to a resolution. Designing a home can be stressful and overwhelming, but the end result is a beautiful reward. As an interior designer, my goal is to ensure that you feel the final product shows that your needs were understood and there are no unresolved issues. Hire an interior designer to help express your point of view, not the other way around. Copyright © 2019 Patty Jones Design. All rights reserved.